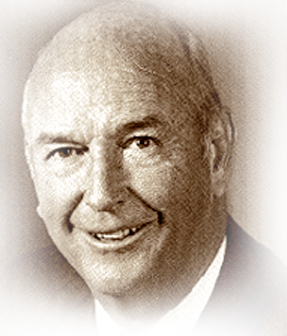 Hugh R. Wilbourn, Jr. started in the industry by working for the Bell System, then co-founded an engineering and construction company. This led to the co-founding of Allied Telephone and Electric Company, which with internal growth and acquisitions he transformed into ALLTEL Corporation now serving more than 900,000 customers in 19 states. Wilbourn was co-founder, vice president and president of OPASTCO, the Organization for Protection and Advancement of Small Telephone Companies. He also was very active in USITA and USTA, serving on many committees and as national president in 1974. Meritorious Service Award, Honorary Doctor of Law from Ouachita Baptist University, and the Boy Scout Silver Beaver Award. Very active in religious activities, Wilbourn has served as a deacon at the Pulaski Heights Baptist Church for more than three decades, served as a director on the executive committee on eight different civic associations and served as a director or trustee on four business affiliations outside the telecommunications industry. Hugh Wilbourn had the vision to correctly project the growth, needs and rapidly changing technology of the industry. He had the courage to put his convictions into action. He bought property when others believed it to be too risky and he kept his companies on the leading edge of the rapidly changing technology.